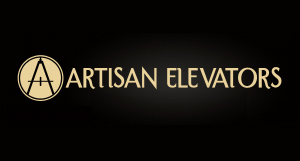 Residential stair lifts offer freedom and independence to people struggling with mobility issues. This is important because it allows people to remain in their homes without feeling burdened. Yet, people living in older homes may be worried their home is not compatible with a stair lift. They may think the stair lift attaches to the wall and runs along stairs that are too old to support the stair lift. The stair lift is not attached to the wall at all. It is attached a rail that runs above and alongside the stairs. The rail is attached directly to the stair treads on every 3-4 steps. The rail can be attached to hardwood, carpeted or concrete steps. This means the rail should be compatible with almost all homes. If the stairs are structurally sound and are still safe for everyday use, there should be no problem attaching the rail to the stair treads. Older homes, especially Victorian homes, may have curve staircases. 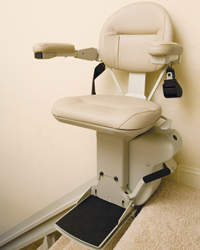 Indy Stair Lifts offers the Indy Curve stair lift, which can maneuver on curved staircases. Every home is different. This stair lift is created to fit the specifications of a home. This means it can go around most corners on most staircases. Curved stair lifts, like the Indy Curve, can maneuver through 90- and 180- degree turns on flat landings. Don’t assume an older home cannot embrace newer technology and convenience. It’s great to know that a stair from Indy Stair Lifts can allow you to stay in the home you’ve enjoyed for decades.